It only lasted for about 8 hours, but that was long enough to start a whole new round of Internet rumor and worry. As background, in 2010, a Seattle-based cartoonist, angered by death threats made by some Islamic activists against the animation team behind South Park, urged people to draw images of the prophet Muhammad on May 20 and post them online. Free-speech advocates quickly turned the idea into a satiric event, which drew worldwide headlines and angry responses from those Muslims who consider images of any of the prophets to be blasphemous. By now, with service restored and May 20 come and gone, the issue should have faded. Yet some free-speech and democracy advocates in Pakistan are trying to keep it alive, arguing that they see a more sinister motive at work by the government. Is Tehran Turning Its Back On the World Wide Web? For years, the Iranian government has been threatening to pull the plug on the world wide web, sealing the nation and its people off from the rest of the Internet. Officially, Tehran says it wants to create a “halal” Internet, or one free from outside “impurities” or temptations. Unofficially, it’s believed the ruling clerics are uncomfortable with the free flow of news and opinions coming from outside Iran, and how democracy advocates inside the nation have used the web to organize. Periodic cyber-attacks, like the Stuxnet virus, only compound the worries. Very often these threats would rise and fall in close relation to national events, such as upcoming elections or rumors of national protests. For example, earlier this February, with elections nearing, there were renewed rumblings about pulling the country offline. Additionally, the official Iranian office of cyber-police issued new rules requiring online cafes to install video cameras and ask for identification before letting anyone on the net. 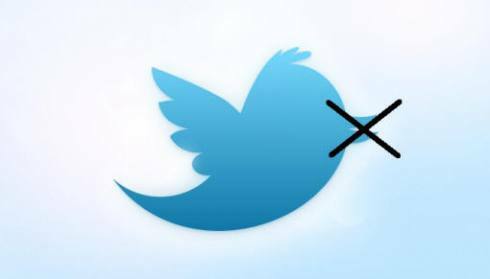 The government also stepped up efforts to block social network sites like Facebook and Twitter, and slowed Internet traffic to a trickle. Then once the elections passed, the pressure and rhetoric subsided. Just as in years past. Now, those threats appear to be ramping up once more. Last week, the government announced a prohibition on all banks, telephone companies and other commercial enterprises from using foreign-based email service for its communications. According to the rule, those firms may now only use email services with the .ir top-level domain, effectively banning Gmail, Hotmail and many others. Then on Monday, the semi-official Mehr news service announced that Iran’s main oil terminal on Kharg Island was being taken offline for an unknown period of time due to a cyber-attack. A source at the National Iranian Oil Company told Reuters that a virus had been detected inside the terminal’s command and control systems, but offered little other information. Of course it’s been impossible to independently verify what actually happened at the Kharg facility. But given Iran’s experience with Stuxnet, and later with the Duqu virus, a new infection at Kharg is a real possibility. The larger question is whether this is just another momentary squeezing of the Internet, or a sign that officials are seriously working to take their nation off the web. If they can, that is. 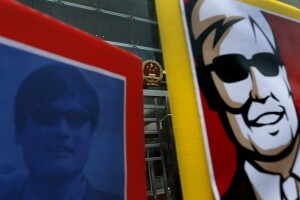 The twists and turns of the fate of blind lawyer and dissident Chen Guangcheng has had much of China’s online community in its thrall. On April 27 Chen arrived in the US embassy from his native Shandong, where he had escaped from house arrest. Despite news of the event being censored, Chinese internet users quickly became aware of his situation. This was especially true on Weibo – the Chinese equivalent of Twitter. To bypass the censors, netizens used nicknames concocted for Chen Guangcheng, including “Shawshank” and “Sunglasses.” But even these terms were soon blocked. On May 2 things took a dramatic turn when he left the embassy under the guidance of U.S. Ambassador Gary Locke to seek medical treatment at Beijing’s Chaoyang Hospital. It was said that he had left of “his own volition”. Charles Custer, who runs blog site ChinaGeeks, explored in the post “Sina’s Softer Censorhip” how “on your own volition” had become a online meme by that evening. In the post, he says that instead of blocking the term, Sina Weibo simply stopped indexing any new posts that used the term. Custer said the maneuver created what he calls “an artificial silence”, where users may think no one is talking about the issue even though there were many posts discussing the matter. 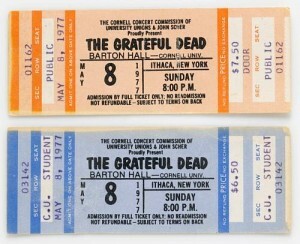 May 8, 1977. The setting was Ithaca, New York; Cornell University’s barn-like Barton field house, specifically. 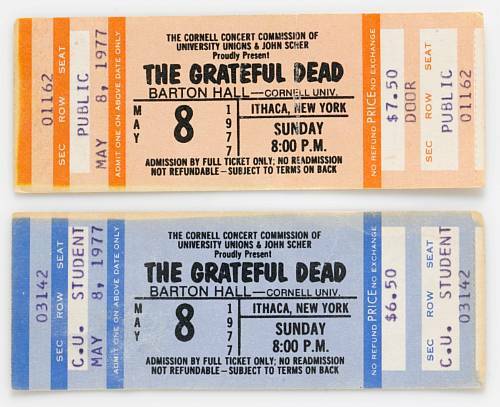 On that particular Sunday evening, for the princely sum of $7.50 – $6.50 for students – you could buy one general admission ticket (assuming you could find any for sale) to hear a performance by the Grateful Dead. As many have learned the hard way, protecting your reputation online can be difficult. The way the web works, once just one person publishes something bad or inaccurate about you, it lives forever in the net’s cache. Should you be unfortunate enough to have someone, or even a team of people, who know their way around the Internet writing malicious things about you, it can be impossible to ever fully correct the record. Bad stuff tends to thrive online. Just ask Tom Vanden Brook or Ray Locker. They’re both reporters at USA Today; Vanden Brook covering the Pentagon for the paper since 2006, and Locker the White House and other agencies. Recently they teamed up to explore what the Pentagon calls “information operations” in places like Iraq and Afghanistan. A term of military art, “Info Ops” is frankly just another phrase for propaganda: the transmission of information, factual or not, with the specific goal of changing beliefs. “Winning the hearts and minds,” as President Lyndon Johnson was fond of saying during the Vietnam war. In particular, the reporters ask hard questions about one of the Pentagon’s largest info ops contractors, Leonie Industries. The firm, they write, was founded in 2004 by a brother and sister team “with no apparent experience working with the military.” Of the $130 million dollars in awarded contracts, the reporters conclude there is little to no oversight, and uncertainty about Leonie’s effectiveness. Worse still, the founders Camille Chidiac and Rema Dupont together owed more than $4 million in unpaid taxes. Leonie responded quickly. “As of March 23, 2012 all tax obligations for Leonie’s owners have been met,” read the curt post on the firm’s blog. Is Hard Currency Becoming A Thing Of The Past? 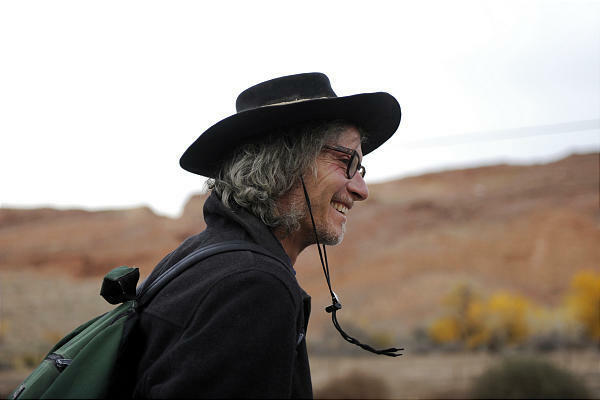 Few of us may have the desire to live as simply, or starkly, as Daniel Suelo. But according to a new report by the Pew Research Center, a growing number of Internet & economic theorists believe the idea of actual physical money – banknotes and coins and such – may be going the way of the typewriter and the buggy whip. Every year around this time, China marks the Qingming Festival, also known as Tomb Sweeping Day. It’s traditionally marked as a day for the living to celebrate the departed, marked by outings to cemeteries. Celebrants leave tea, burn paper or incense, and generally sweep the tomb down clean and clear. But this year it was what the Chinese government was sweeping offline that had so many people upset. 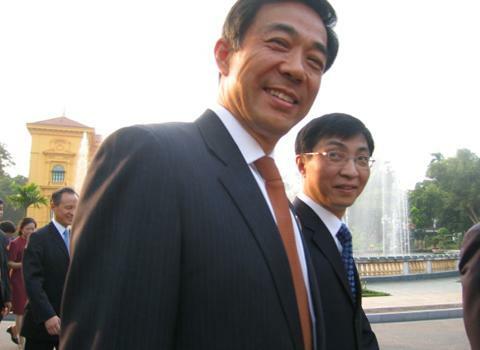 Last week, it was revealed the Chinese government had closed 16 websites and detained six individuals for “fabricating or disseminating online rumors.” Many of those rumors center on the latest political scandal: the sacking of Bo Xilai, the popular former Chongqing Communist Party Chief.